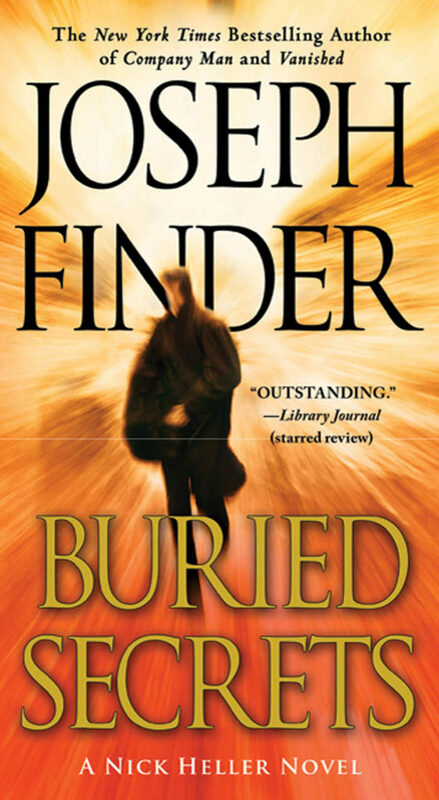 Joseph introduced Nick Heller — a “private spy” who finds out things powerful people want to keep hidden — in the New York Times bestselling novel VANISHED. Now, in BURIED SECRETS, Nick Heller returns, finding himself in the middle of a life-or-death situation that’s both high-profile and intensely personal. "Readers, whether at the beach, on the backyard patio, or reading themselves to sleep at night, will find themselves in the grips of a delightfully dark tale filled with vividly crafted characters, terrific action, mystery, and absorbing narrative tension. This is summer noir at its best... Call it whatever you want, but Joseph Finder has produced the kind of masterfully crafted, pulse-throbbing popular entertainment that few readers will want to put down." "A total wow of a read, Finder’s second novel starring Nick Heller...gets off to a quick start and keeps the throttle wide open for the whole ride. This is the kind of book you have to look up from, every once in a while, just to collect yourself... About as perfectly plotted and suspenseful as possible, this is a tremendous high-wire act." "Bestseller Finder's compulsively readable sequel to VANISHED opens fast and never slows down... Self-effacing, wry, and ridiculously competent, Heller makes a reasonably engaging protagonist, but this thriller's real star is the suspenseful, expertly paced plot." "Following the acclaimed VANISHED, Nick Heller is back... Crisp, clipped chapters and numerous cliff-hangers propel the action at a breakneck pace. Finder’s outstanding writing and engrossing plot twists embellish a captivating summer read."